When was the last time that Auburn had a game like this? To be honest, under Gus you can usually tell how things are going to go one way or the other. Whether Auburn’s playing well and running away with it, or playing poorly and there’s a foregone conclusion that the Tigers aren’t having their best day, it’s always been pretty evident early for Gus’ teams. Yesterday was the first time under Gus that I’ve seen a game turn on a dime like that. 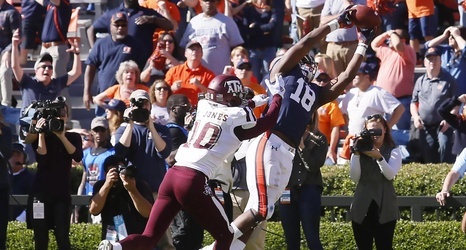 Sure, Auburn’s lost big leads and had big comebacks, but for 55 minutes, that was an unforgettable Aggie win.